Leaders | Bearsden & Milngavie Ramblers. Leading a C walk on the Union Canal path near Falkirk. This section is aimed at all leaders within the Group and offers a page containing advice and guidance, particularly aimed at new leaders. Other pages contain information about the books and Maps available in the Club Library. There is also a page with information about the next Leaders’ Meeting. We are always looking for new leaders for all grades of walks. We can “buddy up” new leaders with an established walk leader who can provide advice and guidance and we hope you will soon be encouraging others to give it a try. Contact the Walks Programme Co-ordinator for more information. The Walk Proposal form is available from the Downloads Section of this website. 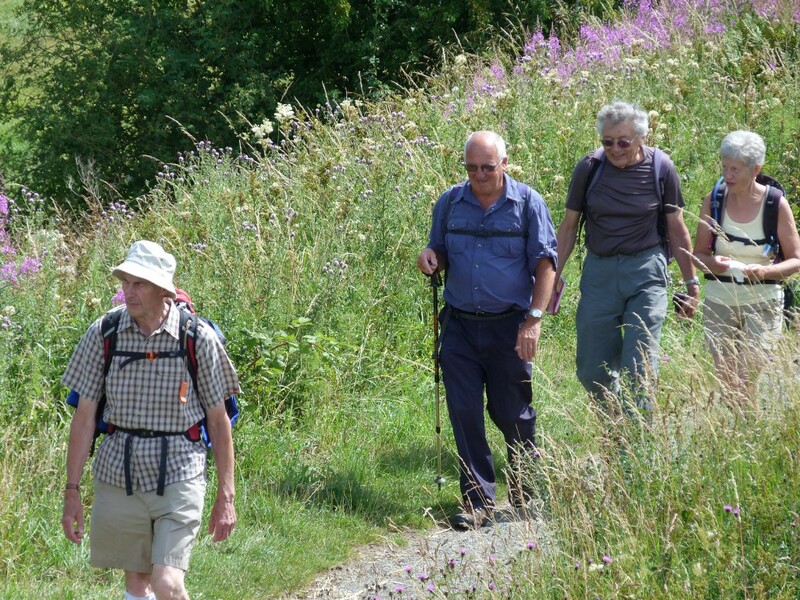 The Club encourages Leaders to claim a refund of the cost of their car mileage when undertaking walk recces. The Leaders Recce Expenses Form is available from the Downloads Section of this website.